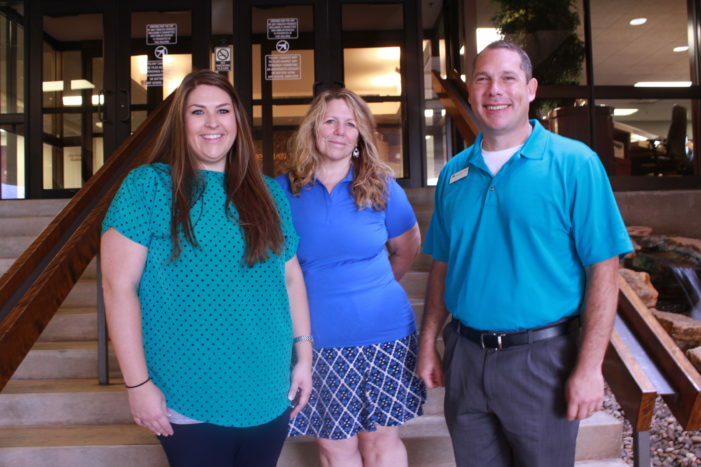 Meridian Technology Center welcomed three new teachers over the summer. New instructors from left to right are Kim Sorrels, Michelle Moore and Brian James. STILLWATER, Okla. – When school starts at Meridian Technology Center on August 17, there will be more than new student faces walking up and down the halls. Meridian has three new instructors who will bring their industry experience to the classroom. New teachers include Brian James, Kim Sorrels and Michelle Moore. James joins Meridian as Science Technology Engineering Mathematics (STEM) Academy instructor, teaching students in the Pre-Engineering and Biomedical Sciences programs. He is entering his 16th year of teaching, most recently at Kiamichi Technology Center’s Hugo campus where he was an instructor in the school’s Pre-Engineering Academy. Sorrels is beginning her fourth year in the classroom as a new STEM Academy instructor. She previously taught in the Jenks and Broken Arrow public school systems. She also worked as an engineer for nearly five years before transitioning into teaching. At Meridian she will teach pre-calculus, introduction to engineering design and introduction to civil engineering design. Moore brings more than a decade of CareerTech experience to the Digital Media program. Prior to coming to Meridian, Moore taught Digital Media and Animation at Francis Tuttle Technology Center in the school’s full-time career training programs. She also taught a variety of design courses through Francis Tuttle’s adult continuing education division.